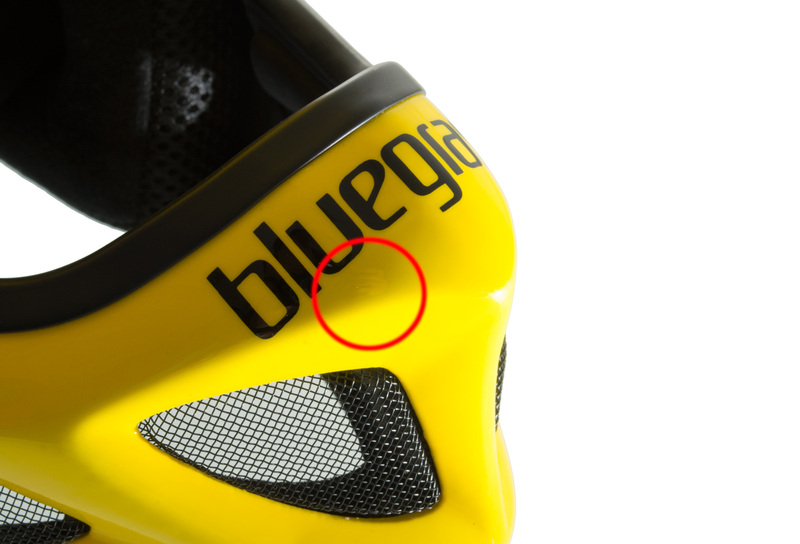 Warning : Refurbished product - Helmet scratches, bumps on the front. The purist designs of Explicit and Brave only serve to show off the best technical wizardry on the market. If today, Explicit and Brave are the gold standard of fibreglass full face helmets, it is because they offer the best technical solutions for a demanding rider's every need. EPS Intelligent Fusion shell with integrated air channels. Brain protection should be a helmet's primary mission. The EPS inner-shell was designed to dissipate the force of an impact and prevent the brain from hitting the skull in the event of an accident. It also has an integrated network of channels which circulates air from external intake vents around the inside of the helmet. Thanks to the Intelligent Fusion process, Bluegrass goes even further by using different densities of material depending on the characteristics of each model to improve the weight/volume ratio while optimising the shock absorption capacity. The internal lining, including the cheek pads, are fully removable and washable. The interior padding is vitally important for helmet comfort. 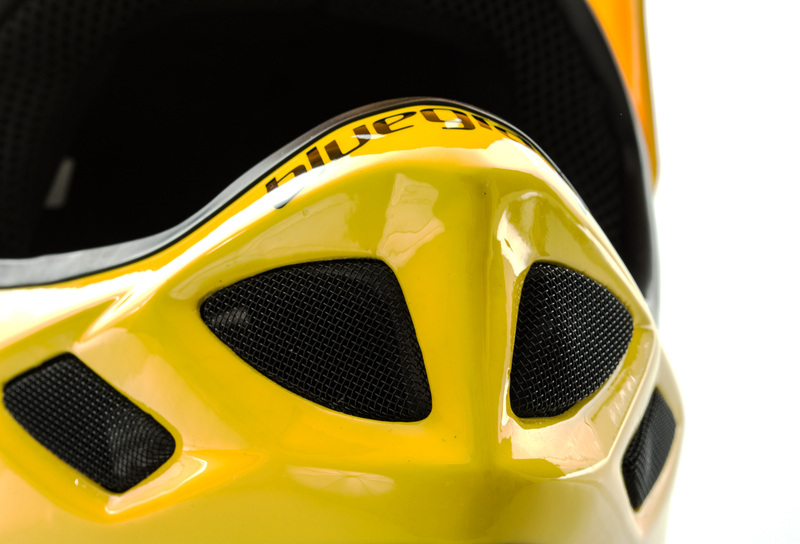 We only use anti-allergenic fabric varying the thickness according to the position in the helmet. MX-style visor with S.O.R. system. helps prevent the visor from breaking. 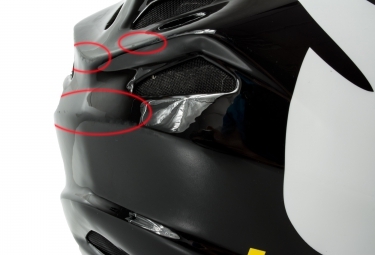 This can easily happen during falls when the visor and the front attachment are one piece. Tool-free angle adjustment. It is attached using aluminium screws on the side. Easy to use with goggles. Gives maximum field of vision. 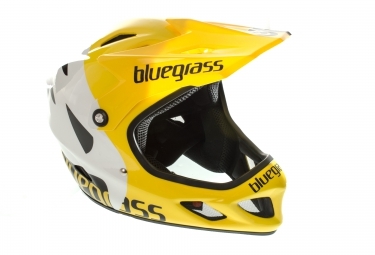 Moulded ribs on the shell help keep the goggle strap in place – we really have thought of everything. The helmet should be compatible with almost all goggles on the market. Chin guard with integrated Airflow_2_Chin air inflow vents. the market. Its design was also dictated by our search to find the best ratio between maximal protection and minimum bulk. such as shock absorption capacity. Compatible with neck brace use. Many riders use a neck brace for added protection, but it may interfere with performance or even be dangerous if it is not compatible with the helmet. Our full face models are compatible with most available neck braces. By simply sliding the strap along you can either take off the helmet or just wear it loosely without having to undo the buckle. 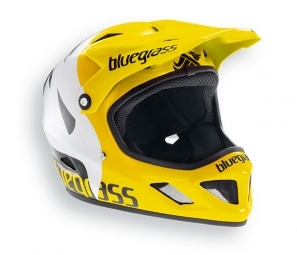 Casque intégral Bluegrass BRAVE Jaune Taille M - Produit Reconditionné clasificado 4.7 de 5 por 15. Rated 4 de 5 por Greeeg de Protège comme il faut! Un casque avec un poids raisonnable comparé à son utilisation. Bon maintien. Aération correct. Rated 5 de 5 por Drufus de Parfait Casque très bien conçu, de très bonne qualité. éden suis très content. Rated 5 de 5 por benji40 de super confortable J'ai acheter ce casque il y a maintenant quel que semaine et j'en suis très satisfait. Le poids et très bien, il est très résistant. Je voulez conseil vivement. A quand les mod&egrave;les de Bluegrass Brave en taille XS ? Bonjour, Pour les questions sur la r&eacute;approvisionnement des produits, vous pouvez en faire la demande sur le site via le lien suivant : https://www.alltricks.fr/contact L'onglet &quot;Questions diverses&quot; puis &quot;Demande de disponibilit&eacute;&quot;. Cordialement, L'&eacute;quipe Alltricks.